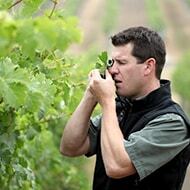 Growing winegrapes is a long term prospect; when well-managed, vineyards can have a life span of 25 years or more. Because of this, protecting the ecosystems in which they are situated is a high priority for California's winegrape growers. 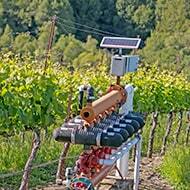 Enhancing and maintaining ecosystems integrity keeps soils and vines healthy and produces higher-quality winegrapes. 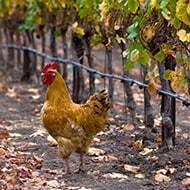 Pest problems are a fact of life in vineyard management, so California winegrowers have devised numerous methods for addressing pests using biological and/ or cultural controls that minimize impacts to the environment. 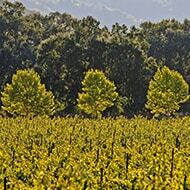 Winegrapes use less water than most crops. 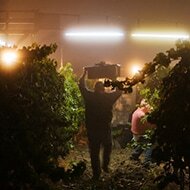 California's Mediterranean climate (rainy in the winter, warm and dry in the summer) is one of the reasons the state is an ideal place to grow grapes for high-quality wines. 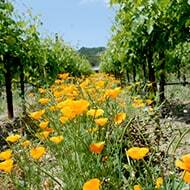 Still, water is a precious natural resource here, and using it wisely is a priority for California's winegrowers. Conserving energy in the vineyard has a double benefit; it reduces greenhouse gas emissions and keeps farming costs in check. 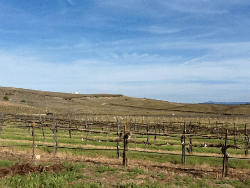 In an effort to reduce carbon footprints and keep their ranches economically viable, California winegrowers have adopted a number of energy-saving practices. 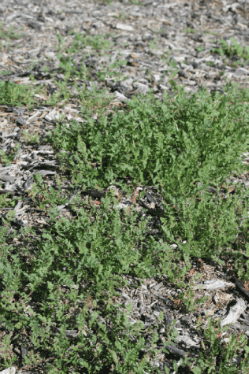 Just about any farmer, gardener, landscaper or groundskeeper will inform you the well-being of the plant is directly related to the health of the soil. They will also tell you that a “living” soil is a healthy soil. 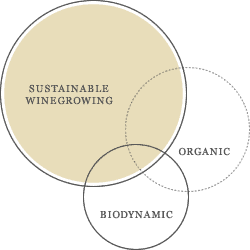 Sustainable farming techniques yield wines that are more complex, better balanced and more reflective of the terroir from which they came. 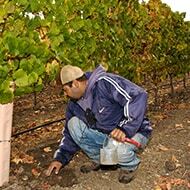 One of our primary goals is to keep our vineyard soils as rich as possible in microorganisms. To achieve this, we have introduced a number of farming procedures modified to our unique location. 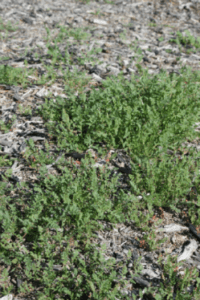 For nearly all pest and fertilization situations we are able to utilize natural methods and applications to solve a problem or accentuate a positive circumstance. Non-natural controls are administered rarely and only as a last resort. Compost is added to the soils to help retain moisture and improve water circulation. This is a key aspect of sustainable farming. Natural fertilizers are used to help add life to the soils, supplying bacteria, photo nutrients and trace elements. Leaf tissue analysis is used to help amend soils and bring soils back in balance. 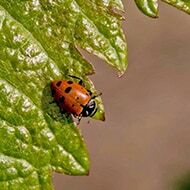 All native plants and grasses along waterways and vineyard margins are left untouched to encourage populations of beneficial insects. Non-indigenous plants that harbor harmful grapevine pests are removed. The reflection of this native flora & fauna can be discerned in the ambiance of the final wine product. Because we preserve the natural habitat we are gifted with a healthy population of beneficial insects that keep the harmful insects to a bare minimum. 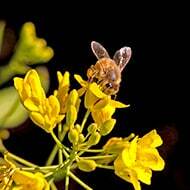 We do not use pesticides. Spray calibrations are closely monitored. 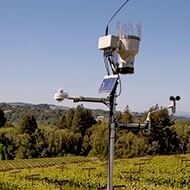 This keeps populations of beneficial insects in our vineyard. Grape vines are susceptible to mildew infection which we are able to control with sulfur and mineral oil applications. Strip spraying is done only where needed, minimizing usage by maintaining narrow strip spray patterns. Equipment such as spray nozzles, hoses, tanks and pumps undergo routine maintenance to ensure that the proper amount of fungicide is being used. 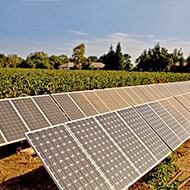 Ecologically-sound agriculture is a necessity for the long-term health of our planet and all of its inhabitants. 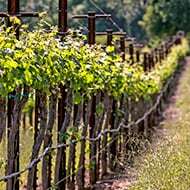 At Vindemia Vineyard & Winery, we understand the responsibility we have to protect our land for our customers, employees, local communities and future generations.